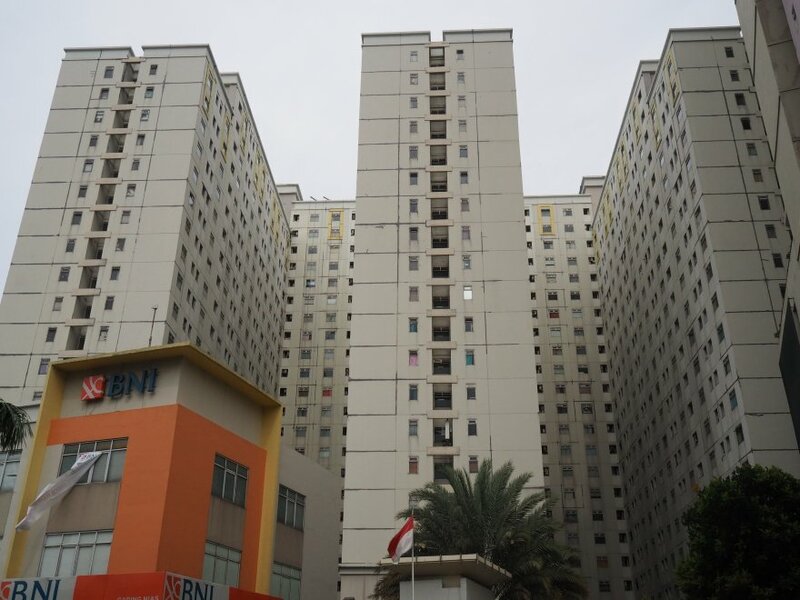 Gading Nias is a budget apartment complex that consists of several towers of 20 floors for a total of 6,000 units. It is similar to Kalibata City. 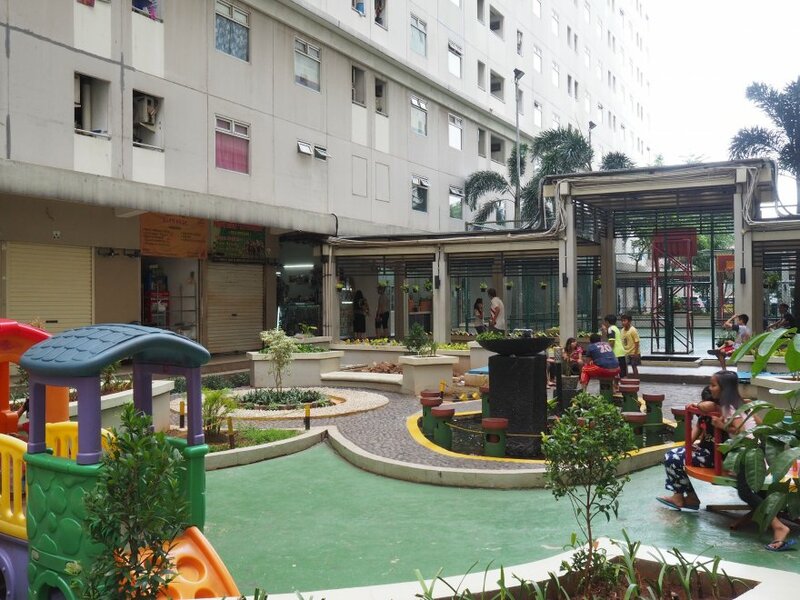 Gading Nias Residences (GNR): A group of subsidized towers (rusunami) with basic standards. They are organized in 4 blocks: Alamanda, Bougenville, Chrysant, Dahlia. 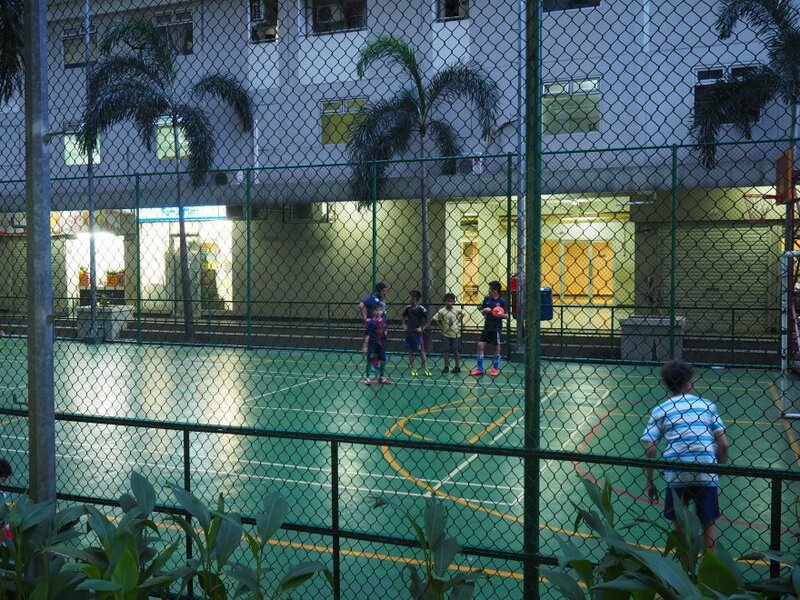 The facilities include a football/basketball court and a kids playground. 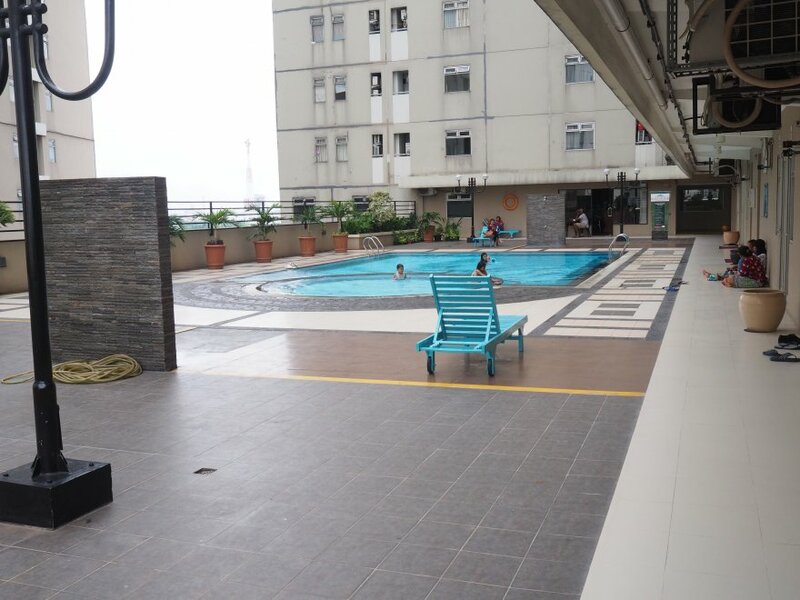 Gading Nias Emerald: A better tower, non-subsidized, with a swimming pool. Grand Emerald: The best tower, also non subsidized, with a swimming pool and a gym. Each unit has a private parking space. I stayed in Grand Emerald for a day but I also visited the other towers. Below is my full review of the complex. If you want to add something, please add your own comment and rating at the end of the article. 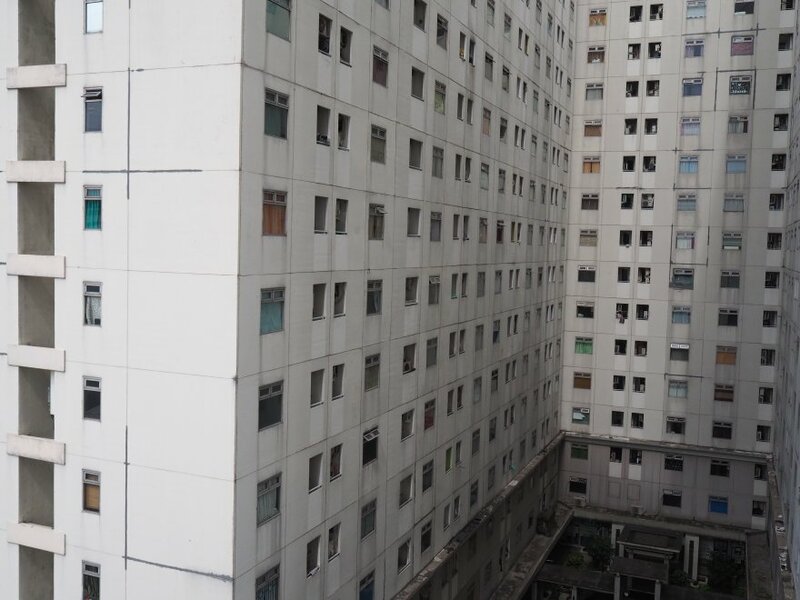 In which district of Jakarta is the complex located? 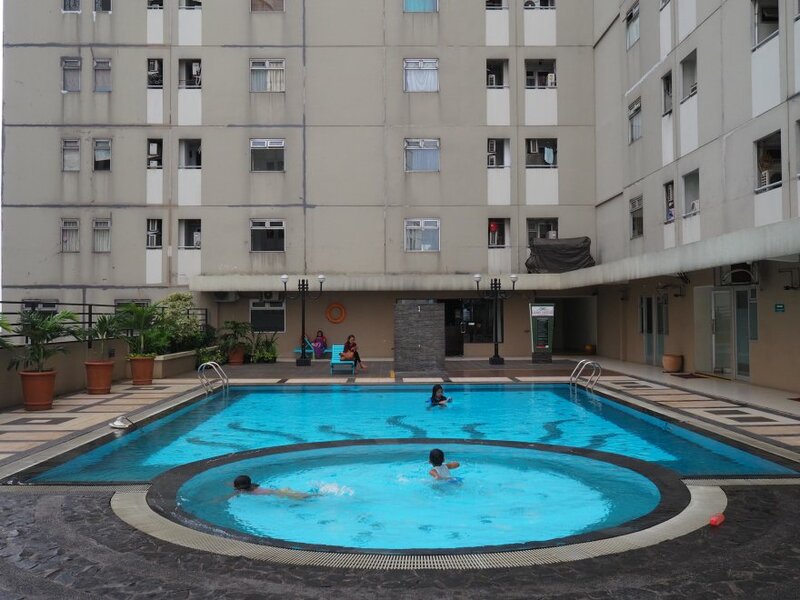 Gading Nias is located in Kelapa Gading, a subdistrict of North Jakarta which is quite modern. Once an agricultural land, it was developed following a grid pattern in the late 1970s. Today, it is considered a rich area, home to an important Indonesian-Chinese community. It is often considered a “city within a city” as it has its own ecosystem of houses, apartments, malls, offices, and factories. 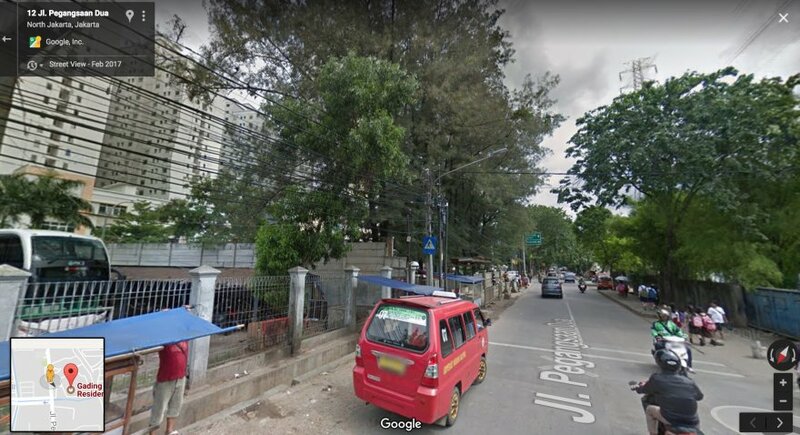 While Gading Nias is officially part of Kelapa Gading, it is next to a poorer subdistrict called Sukapura (Cilincing District). This used to be a rather industrial area which is slowly developing. Gading Nias only has one exit on Jalan Pegangsaan Dua. This street is a bit dirty and there are a few street sellers working there. About 200 meters away, there are several big construction sites and warehouses. Overall, it’s not interesting. 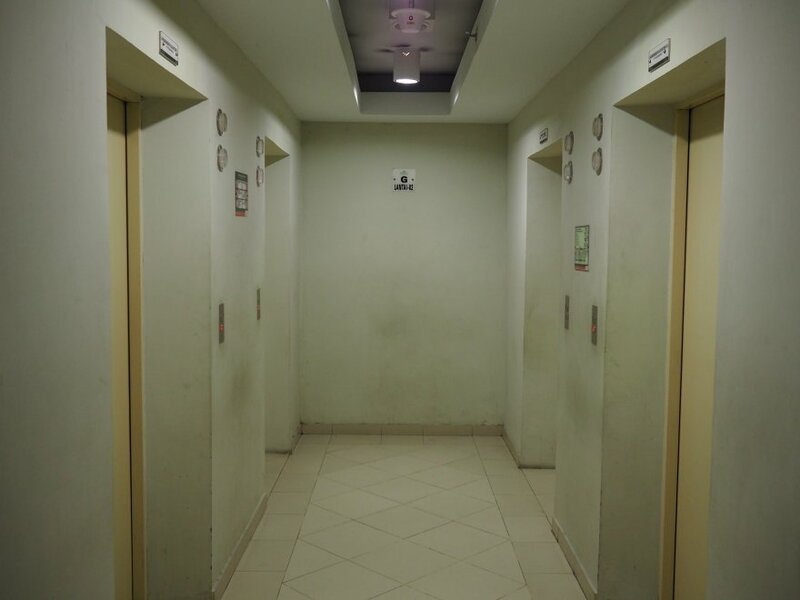 Mall Kelapa Gading is 1.5 kilometers away. It is one of the largest malls in Indonesia (600 stores). It is very complete and rather upmarket. In particular, you have an IMAX cinema and several popular fashion brands (Uniqlo, Muji, Zara, Pull & Bear, etc.). 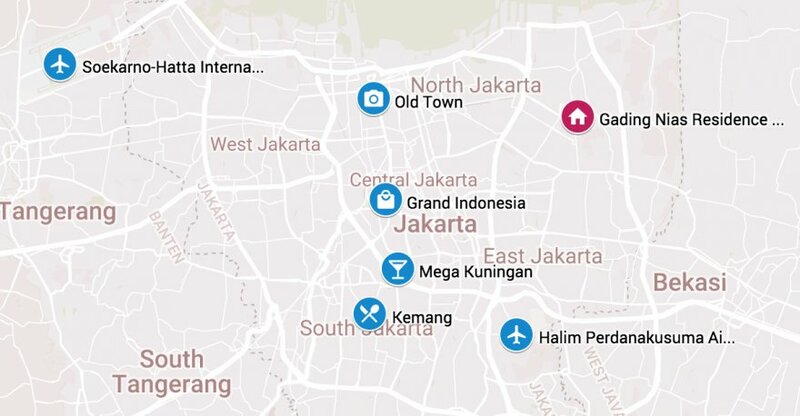 Mall of Indonesia (MOI) is 3.5 kilometers away. This one targets the middle-class segment. 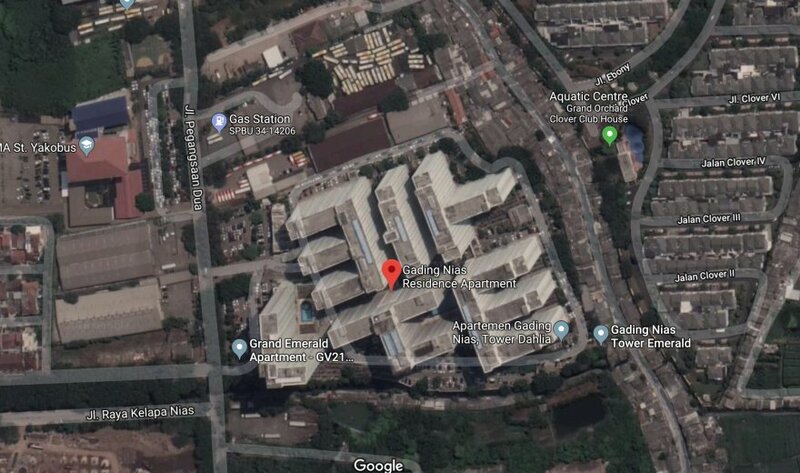 The main tenants are Centro Department Store, a cinema (Blitzmegaplex), a hypermarket (Carrefour), a bookstore (Gramedia), a massive food court, etc. For cheaper brands, you can also go to Artha Gading Mall and Pulogadung Trade Center (low-class), both 4 kilometers away. 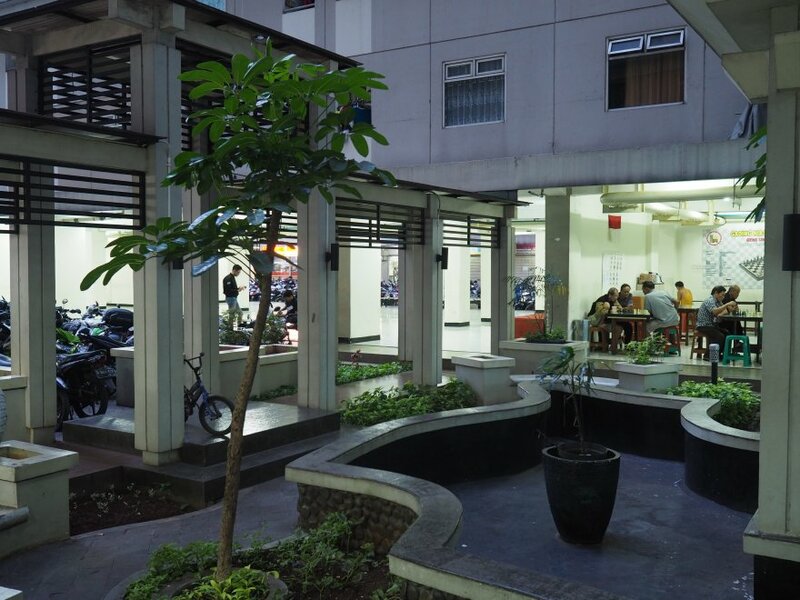 The nearest and best ones are The FoodHall and Farmer’s Market in Mall Kelapa Gading. There is also an Hypermart (cheaper) in Bella Tierra Lifestyle Center. 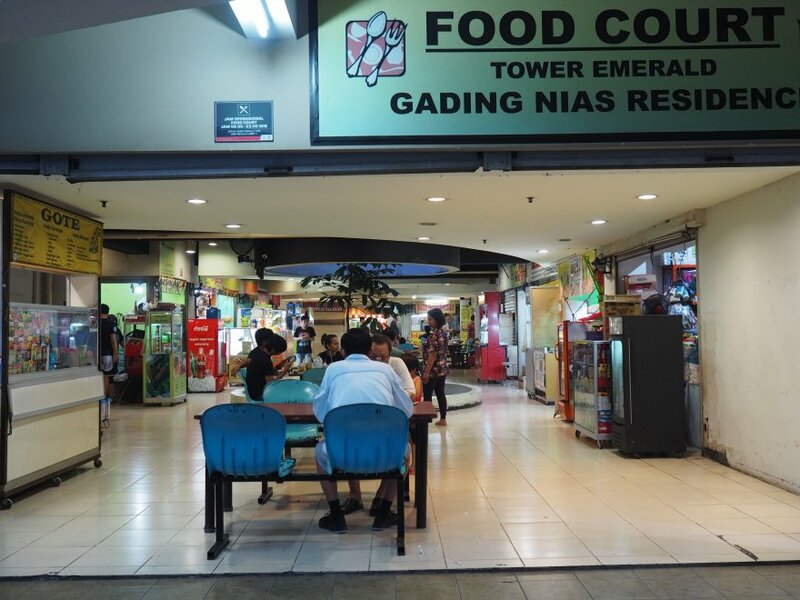 There are many warungs and canteens inside Gading Nias. It’s very convenient and the food is usually good. The choice is limited to Indonesian and Chinese food, though. 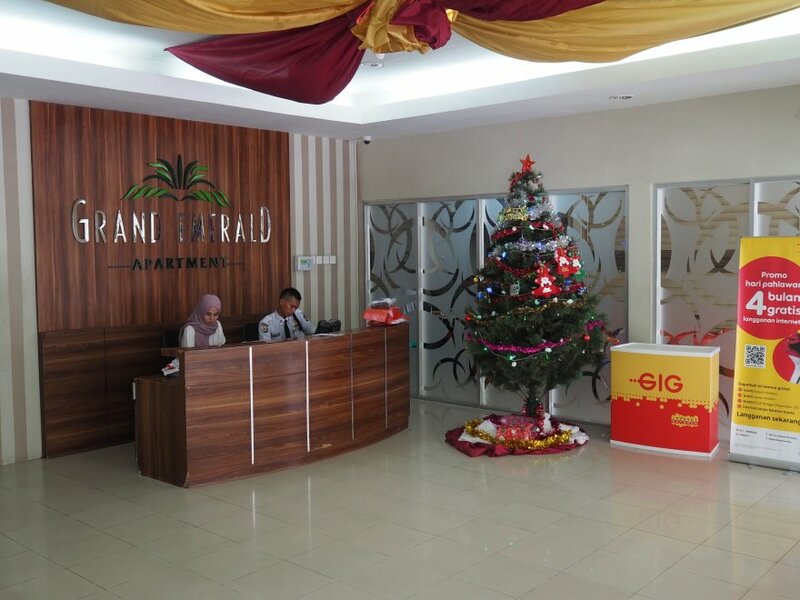 If you want more sophisticated venues, you can go to Mall Kelapa Gading or to Jalan Boulevard Raya. There is a small park for running called Taman Jogging (Jogging Park) on Jalan Boulevard Raya, near the Bunderan Kelapa Gading. It is about 2 kilometers away. Since the Indonesian Chinese community is important in Kelapa Gading, you should know that there are many churches. There is also a large mosque near Gading Residence (Mesjid Al-Musyawarah). Unfortunately, yes. Kelapa Gading is known to be subject to floods, particularly during the wet months from January to April. If it happens, you may have trouble going back home. Don’t worry too much, though, it is still pretty rare. 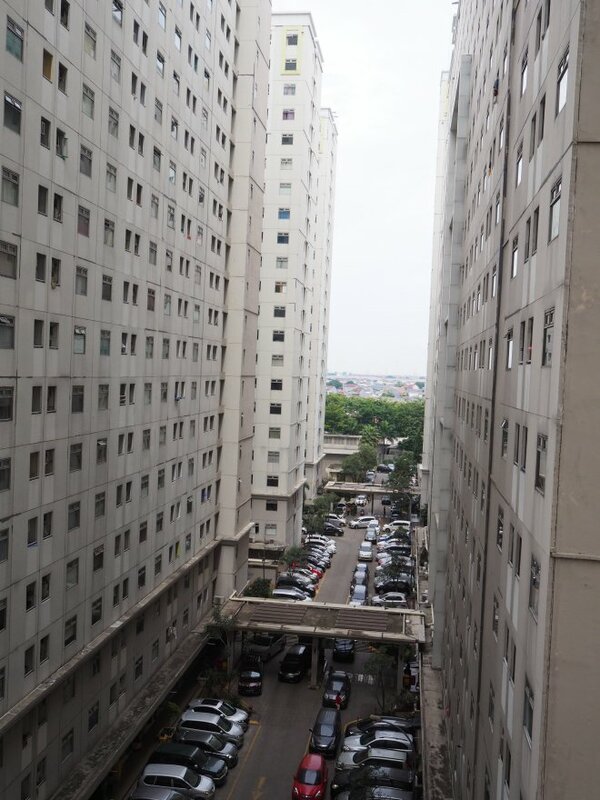 The main problem with Gading Nias Residence is that it is far away from all the major roads in Jakarta. 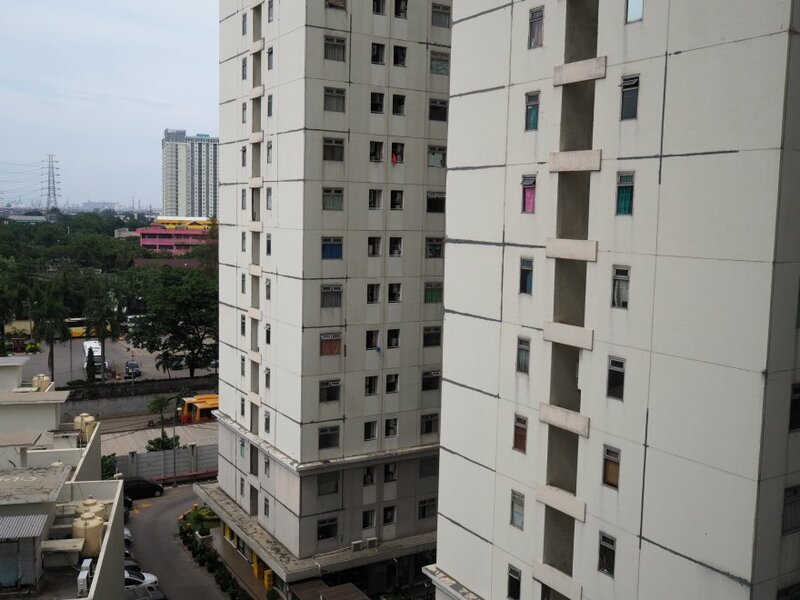 It is about 2.5 kilometers from both the Jakarta Inner Ring Road and the Jakarta Outer Ring Road. There are not too many traffic jams just outside the apartment. It gets worse on Jalan Boulevard Raya, but it is still reasonable by Jakarta standards. Unfortunately, none is close enough to go by foot. If you want to use the TransJakarta, you will have to go by angkot near the Mall Artha Gading, at the halte Sunter Kelapa Gading (line 12). An LRT station should be built nearby, in Depo LRT. When completed, it should link Jakarta Kota to the Jakarta Velodrome. 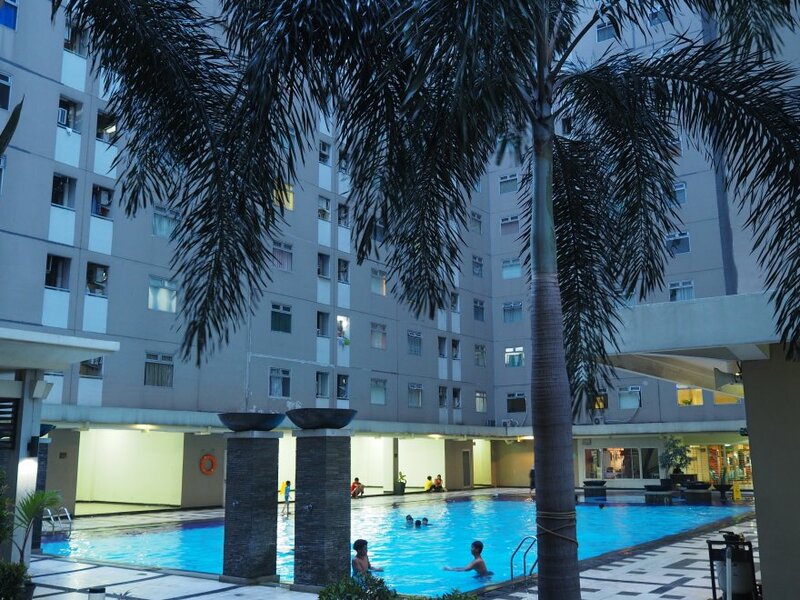 The developer, Agung Podomoro Land (PT Tiara Metropolitan Jaya), is one of the most famous in Indonesia for midrange apartments. They have a large portfolio of completed projects, many of which I’ve reviewed here already (Metro Park, Thamrin Residences, Sudirman Park, Kalibata City, etc). I noticed that the maintenance of their older and cheaper properties is often disappointing. 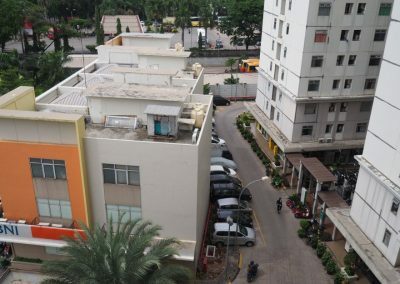 This was the case for Mediterania Gajah Mada and Gading Mediterania. In the latter, the condition was so bad that the residents actually protested against the management. The architect for this project was Megatika International. The towers looks as basic as possible: They are massive concrete blocks, painted in light grey, with small windows and no balconies. Each tower has its own entrance. Grand Emerald, where I was staying, has a wooden desk and a few seats in the lobby. Most of the empty space between towers is used as common areas. 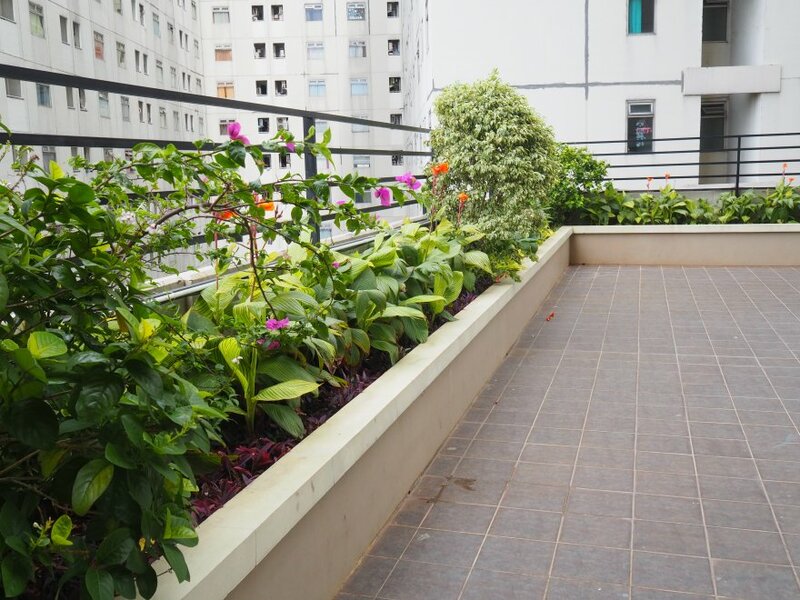 Often, it is taken by parking slots, but you also have a few gardens and resting areas. The design is pleasant. 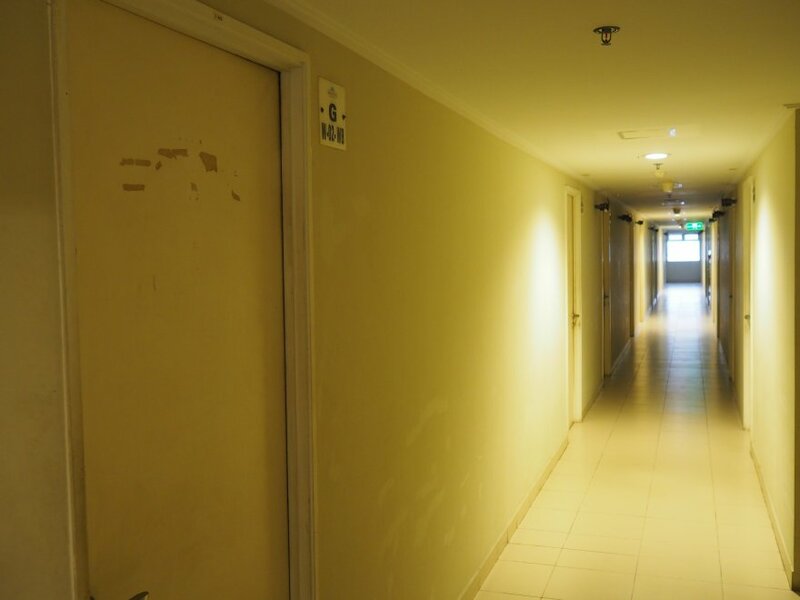 The corridors in Grand Emerald have a gypsum ceiling. 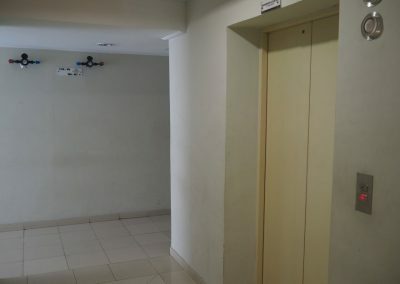 This is not the case in Gading Nias Residence, where all the pipes are visible. The bathrooms are quite tiny and they won’t be able to hold a bathtubs. 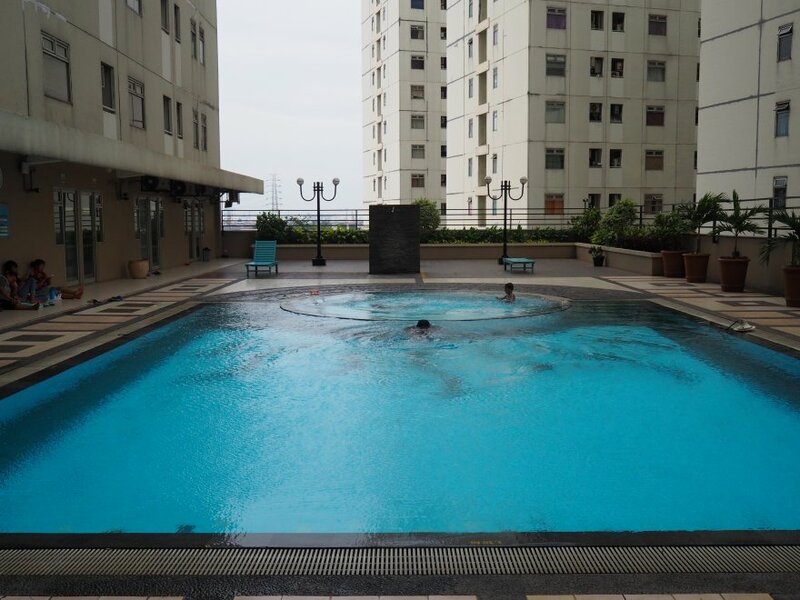 – Swimming pool: There is one in Grand Emerald and one in Emerald tower. 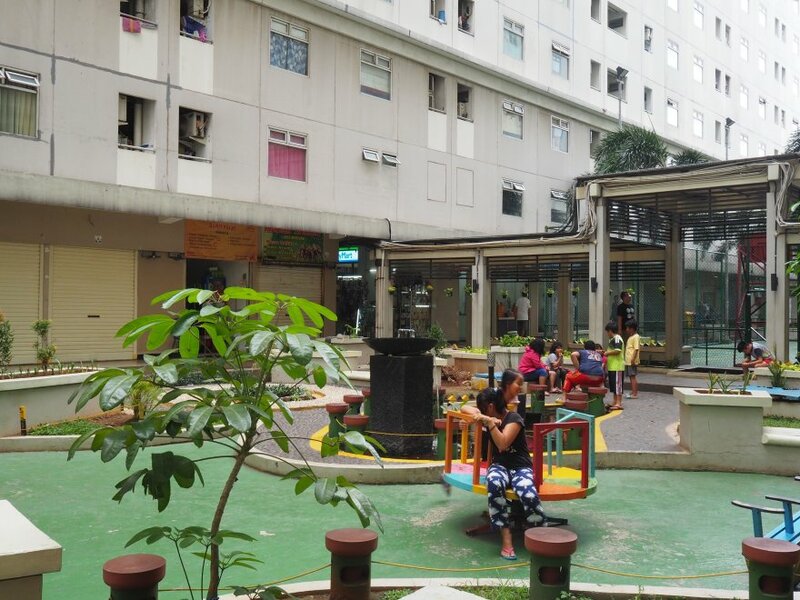 Both are quite small and often crowded, but it is nice enough for kids. If you are a swimmer, it will be too narrow. They also have a basin for kids. 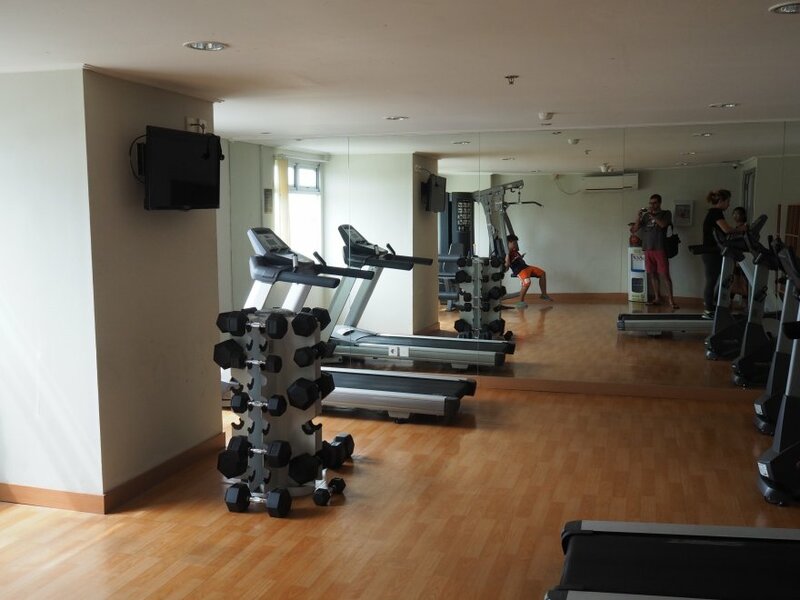 – Gym: Only in Grand Emerald, it has a handful of machines (treadmill, bike, free weights, etc). That’s enough if you just want to train casually. 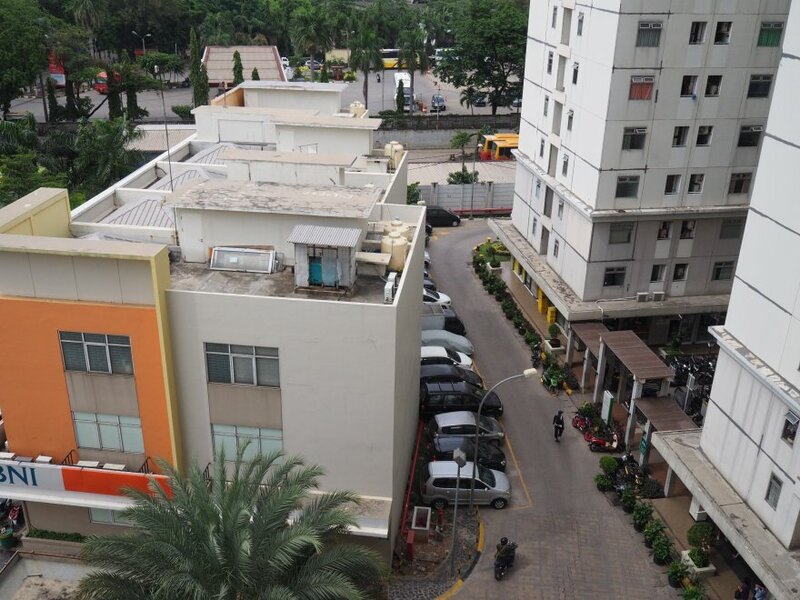 A lot of cheap services and shops are available in the ground floor of the residences, which feels like a small city: 24-hour minimarkets, canteens, warungs, banks, ATMs, (coin) laundry, interior design, real estate, courier, mosque, salon, pharmacy, etc. 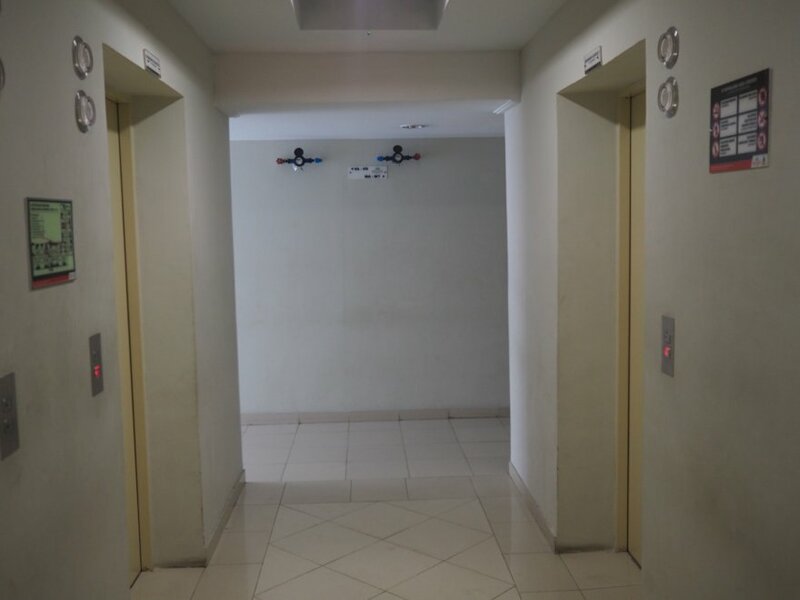 Each apartment has a different limit, usually 1,300 watts. Make sure you get enough for your needs. 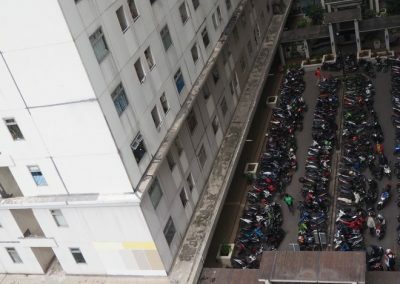 Parking is the number one issue if you live in Gading Nias Residences. 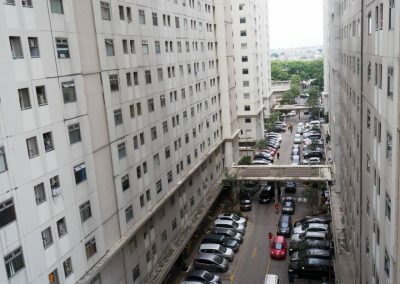 Only Grand Emerald has its own parking building, so the residents of the other towers have to turn around in the ground floor area until they get a space. 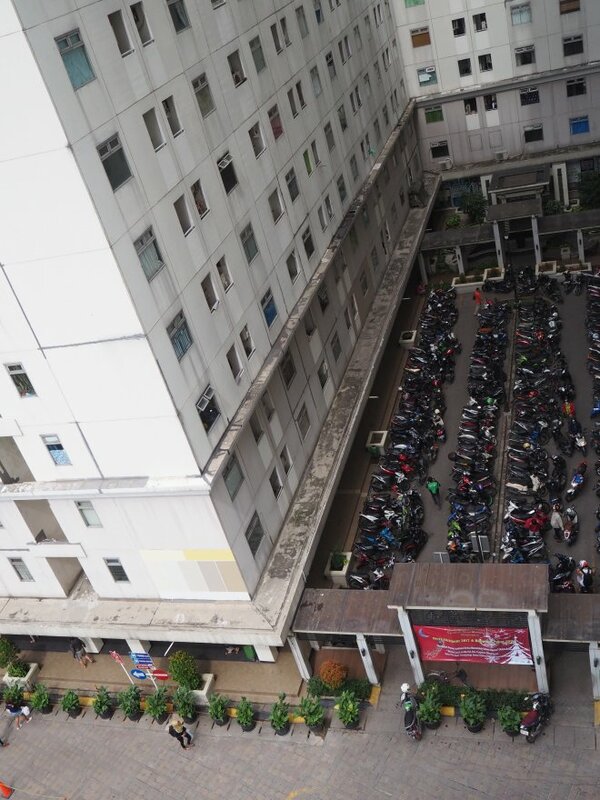 This kind of problem often happens with subsidized apartments in Jakarta (rusunami). The reason is that they are originally built for poor people who are not supposed to own cars. However, because of corruption/collusion, the real beneficiaries are people from the middle to upper class who have cars. 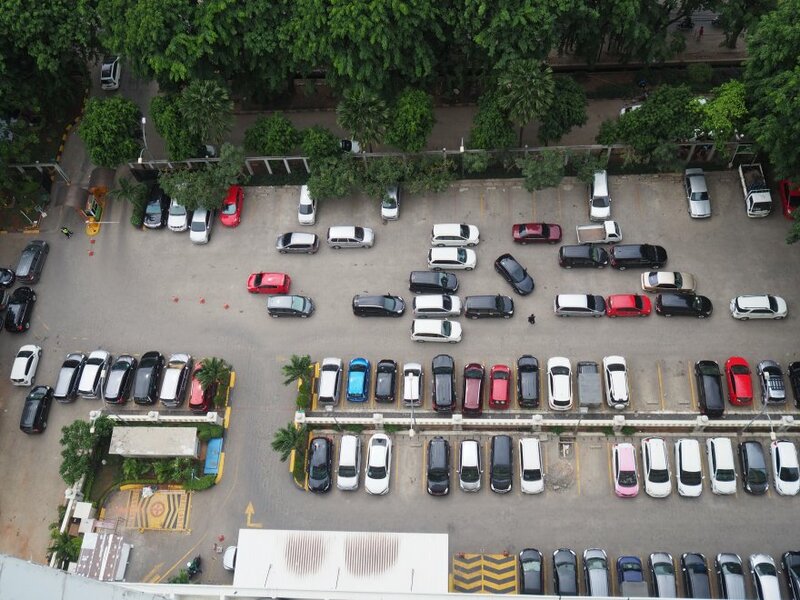 In the end, there is always a huge gap between the capacity of the parking and the demand for space. 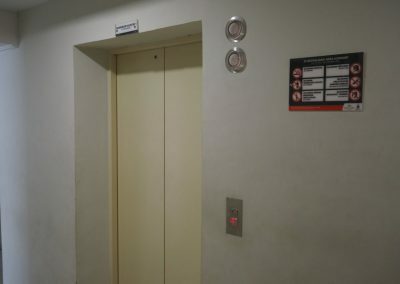 There are 4 lifts per tower, 3 for residents and 1 for staff. This is a crowded property. Expect to see a lot of people everywhere. The atmosphere could be described as “kampungan” (= countryside/working class). 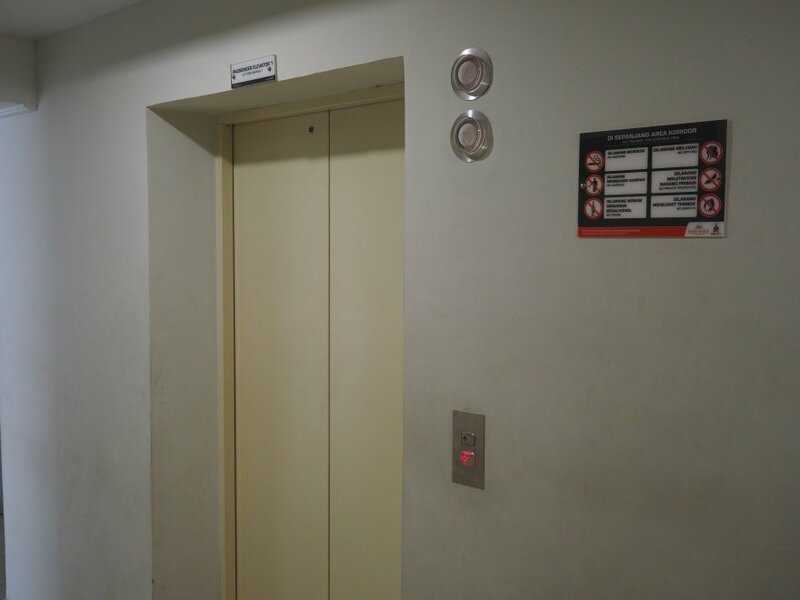 It is a bit noisy, especially if you stay on the lower floors. From Grand Emerald, you can hear the noise of some construction works nearby. Residents of Gading Nias are a mixed bunch: Indonesian Pribumi, Indonesian Chinese, and foreigners. Among the foreigners, it is interesting to note that there are a lot of Africans. I’ve never seen so many black people in Jakarta, to be honest. There are also a few Indians, Arabs and Caucasians. 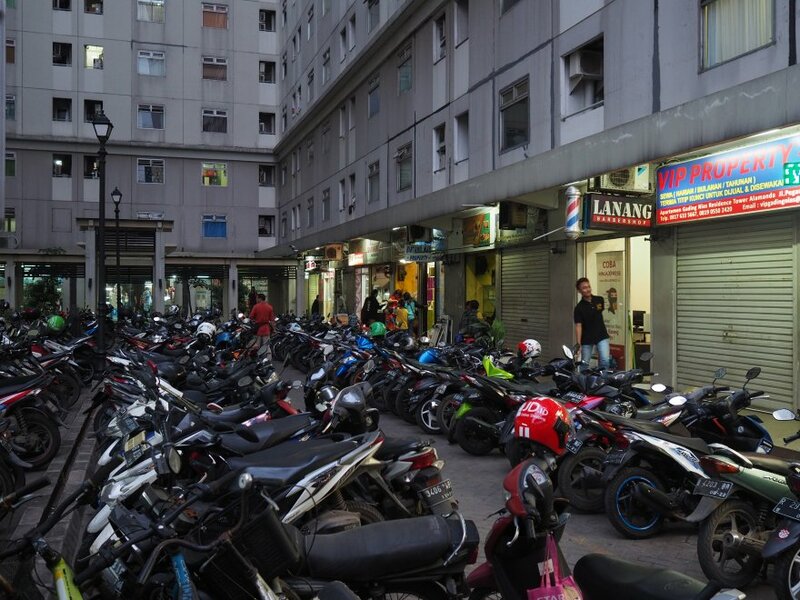 Just like in Kalibata City, there have been rumors about prostitution activities happening in Gading Nias Residences. I cannot confirm but it is possible. On Internet, I noticed that some people rent their apartment for short time periods. The ground breaking of Gading Nias was in February 2008. It was completed in 2010. There are a few issues with maintenance (broken tiles, scratched paint, etc), but nothing too bad for now. It is quite clean for the Grand Emerald Tower. The rest is OK but some areas could be better (the shops in the ground floor, for instance). – CCTV cameras: Very few. – Access card: Yes for Grand Emerald and Emerald Tower. 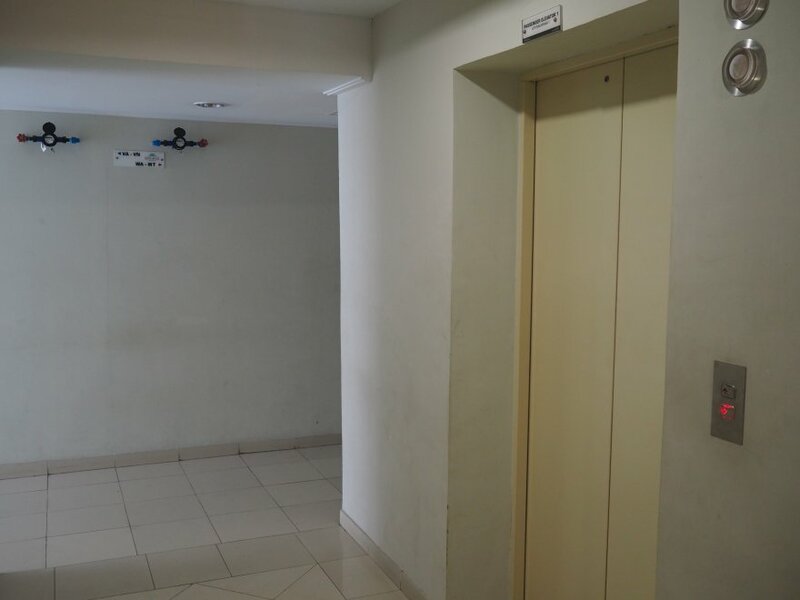 Prices at Gading Nias Residences may vary depending on many factors such as the floor, the unit type, the room condition and the furnishings. Naturally, units in Grand Emerald are better, especially if you stay on a high floor facing the West as you will get a nice city view. 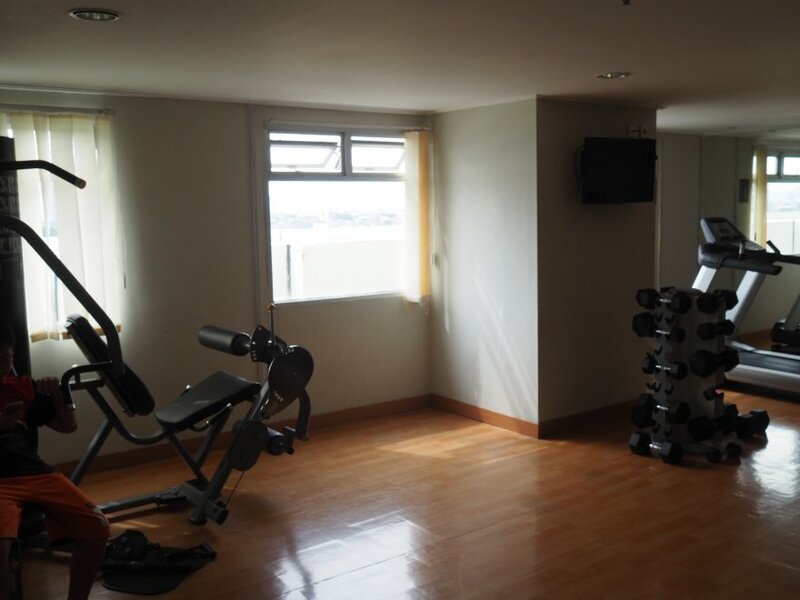 The buying price in Gading Nias is good value considering the facilities and location. That said, the rental price is low so it will take several years before you can start earning money. 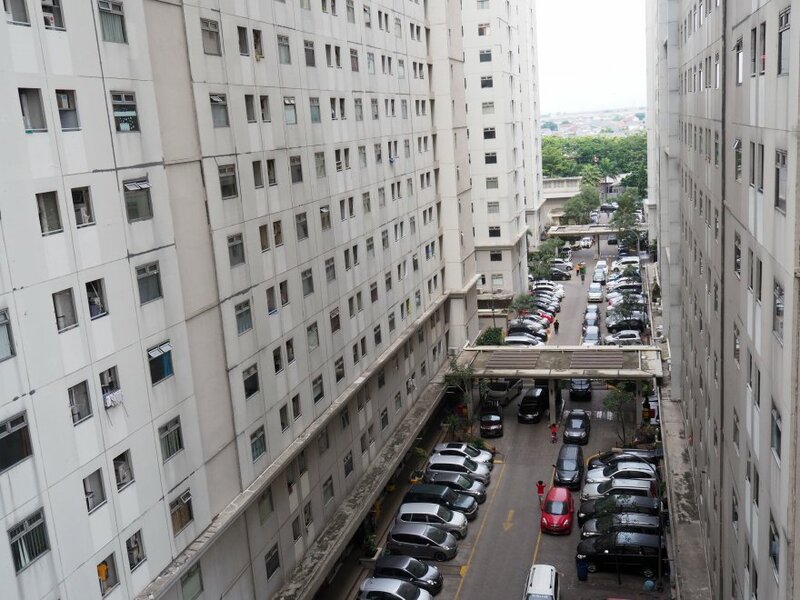 During that time, it is likely that the condition of the apartments will deteriorate a lot. Still, I think it can be an interesting investment for those with a small budget. If you take a good care of your unit, you should be able to maintain a decent rental income for at least 20 years. You can also hope that the area will become more attractive if the government builds more public transportation options and if it manages to mitigate the floods.